A deer visits Terrapin Peak. During their stay, several guests have seen them on the property. 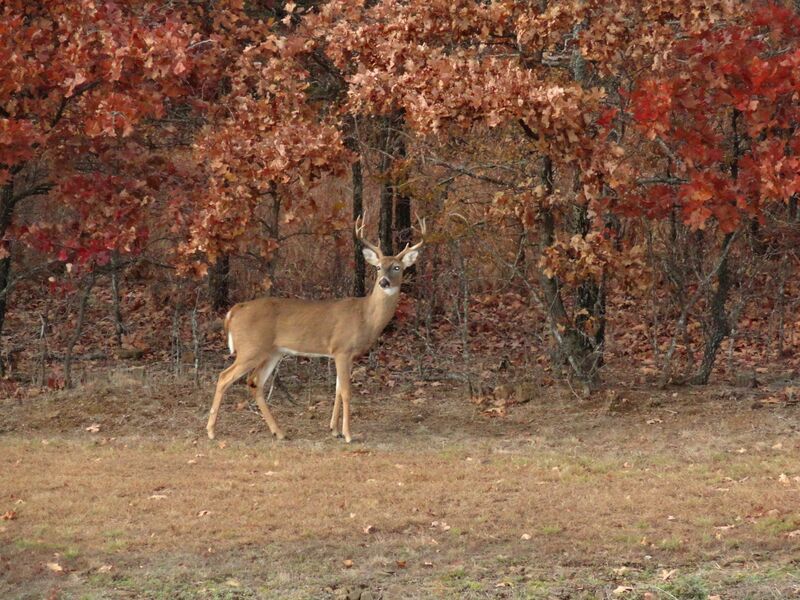 Deer hunting season opened in Oklahoma Nov. 22. As many hunters begin to seek their prize buck, deer are seeking refuge. Luckily for the wildlife of Cookson, near Lake Tenkiller, Terrapin Peak offers a safe and welcoming environment akin to their natural habitat setting. Situated on 9 acres of land, Terrapin Peak allots plenty of space for wildlife to roam in a comfortable and safe setting. 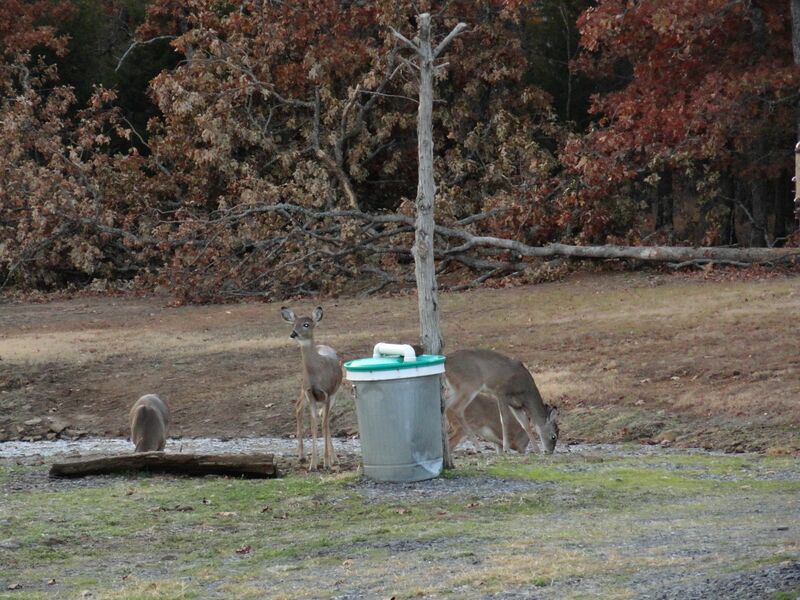 With the implementation of deer feeding stations, wildlife friends are always encouraged to leave with a full stomach. 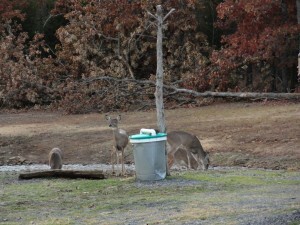 A herd of deer stop at one of the property feeders to regain energy. For hunters looking to bag a prize, Cookson offers many hunting opportunities. 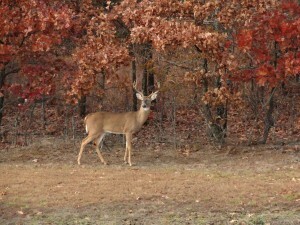 The Cookson Wildlife Management Area boasts a good number of White-tailed deer but warns they are highly sought after. While the Cookson WMA does have public access hunting grounds, the area is open primarily for controlled hunts. Terrapin Peak offers superior accommodations for those looking to rest between hunts or simply enjoy the wildlife. For more information on Terrapin Peak and our lodging options, click here. This entry was posted in Fall, General, Winter and tagged Deer, Hunting Season, Terrapin Peak by Casey Owens. Bookmark the permalink.